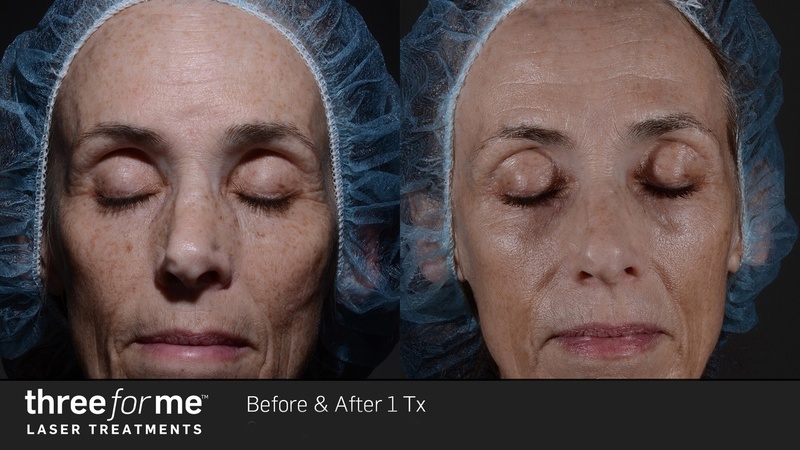 ThreeForMe™ IPL Photo Rejuvenation plus Fractional Laser will deliver beautiful new skin that looks younger, more vibrant and brighter! 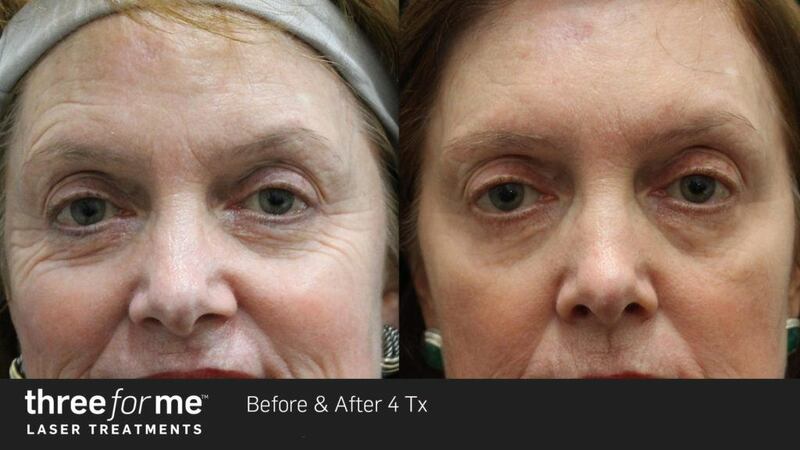 ThreeForMe - The solution to brighter, younger looking skin. 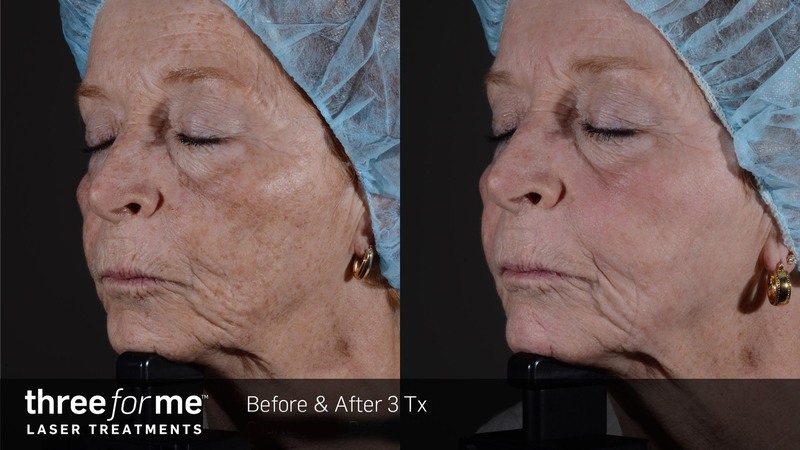 With the ThreeForMe™ laser treatment you can now reverse and erase skin imperfections caused by aging, sun-exposure and genetics and have younger looking, tighter skin at New Radiance Cosmetic Centers in Palm Beach Gardens, Port St. Lucie and Wellington. Are you looking for a skin rejuvenation procedure that is quick, comfortable, and comprehensive? 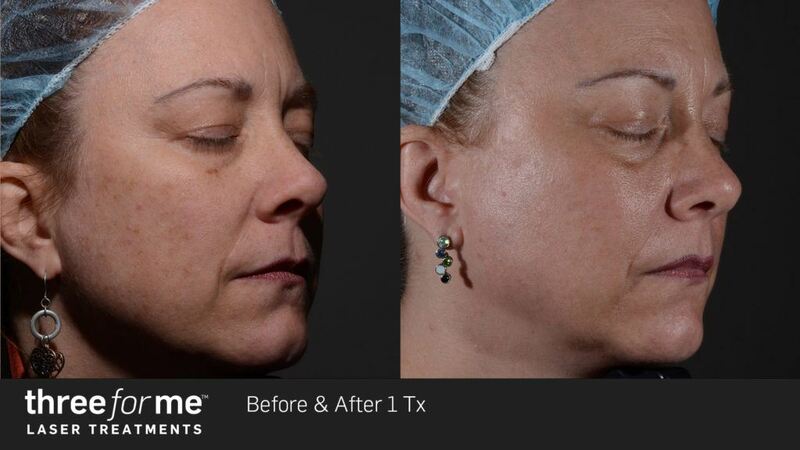 You may want to consider ThreeForMe™ laser skin rejuvenation treatment. This procedure can tackle three of the most common skin concerns — wrinkles, sun damage, and facial veins — while bringing patients only minimal discomfort and downtime. 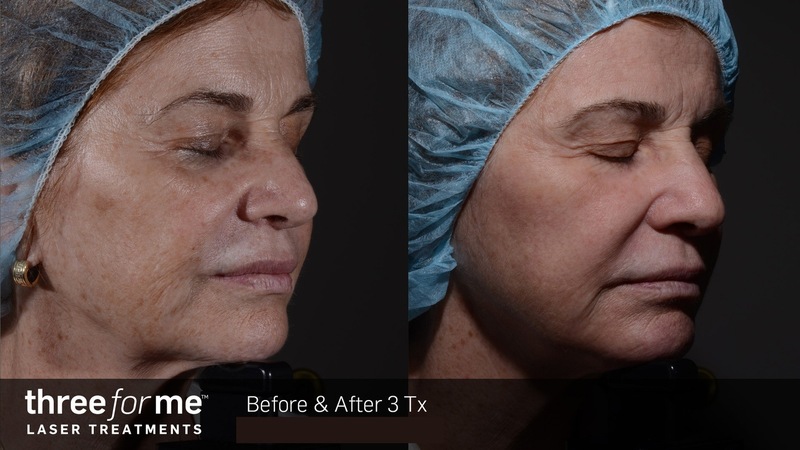 The ThreeForMe™ treatment is performed using the state of the art Palomar Icon. 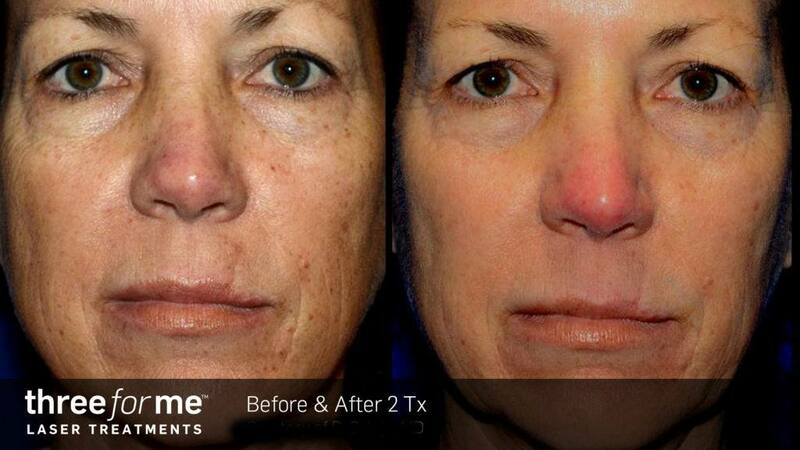 Both IPL and fractional laser skin resurfacing are combined in one treatment. The first pass uses Intense Pulsed Light (IPL) to treat any discoloration for a more balanced looking appearance. This treats sun-damage such as freckles, brown spots, or age spots. This will also correct any facial veins including broken blood vessels, spider veins and rosacea. The second pass uses a “microbeam” laser that will gently renew the skin for a smoother-looking appearance. It works by promoting new collagen and elastin production in the skin. This leads to the reduction of fine lines, wrinkles, scars and other surface imperfections. 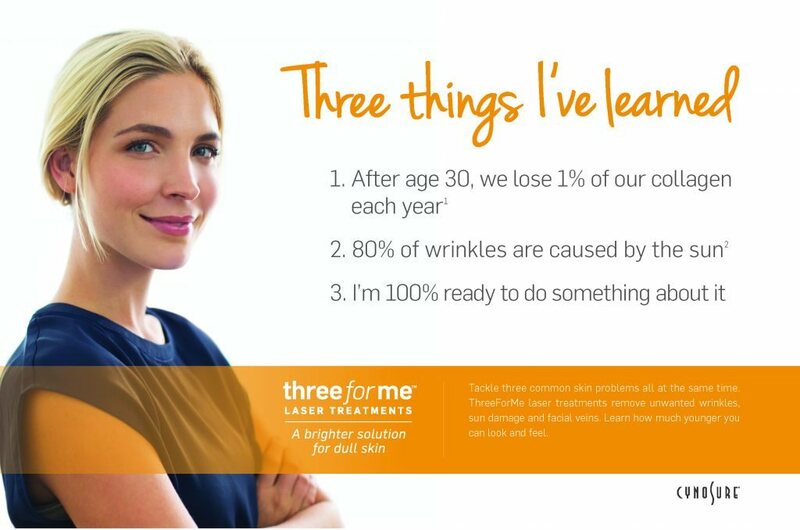 The ThreeForMe laser treatment can safely be used on most skin types to address your areas of concern. During your consultation at our New Radiance facility we will be able to better determine based on personal factors if you would be a good candidate for this procedure. Treatments are about 1-3 procedures spanned over one-month intervals. During your consultation we can customize the treatment plan to optimize the results for your specific skin condition. Treatments typically last around 30 minutes. During ThreeForMe treatments you might feel only minimal discomfort. There may be a cooling feeling as the laser goes over the treatment area as well as a slight feeling similar to that of the snap of a rubber band. You may experience redness and some swelling for a few days that is similar to a mild sunburn. How long before I am able to resume normal activities? You can usually expect to resume normal daily activities on the same day you are treated. With the redness and swelling you have a day or two of downtime from social activities. ThreeForMe treatments at New Radiance have been clinically proven to be safe and effective.